Symphony Ventures, the global services firm specializing in Robotic Process Automation (RPA) and Intelligent Automation (IA), today announced its certification as one of the first global Official Training Partners of RPA software vendor UiPath. The certification follows Symphony’s UiPath implementation partnership and is a testament to the company’s distinguished and comprehensive expertise helping UiPath clients navigate their RPA journeys – whether they require guidance in deploying the software or in training internal resources. As an Official Training Partner, Symphony will assist UiPath with managing the explosive growth in demand for its technology by helping companies nurture their own in-house RPA consultants. Demand for RPA solutions like UiPath’s is growing exponentially as more organizations realize the benefits of a Digital Operation – such as dramatic enhancements to front, middle and back office functions, significant cost savings and the ability to refocus employees on more dynamic and customer-centric activities. 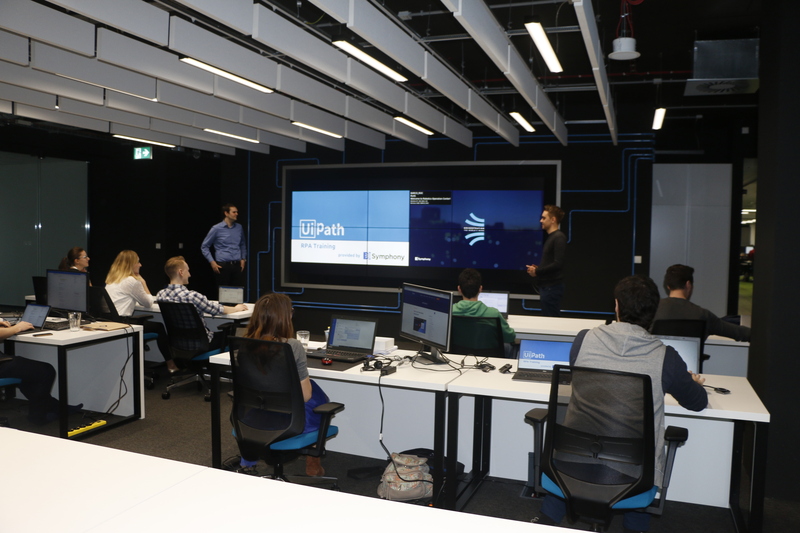 Symphony has already organized and led numerous on-site UiPath RPA trainings on a global scale, including the RPA Developer Advanced Course and Project Based training to nurture applied skills in client-specific environments. Symphony is now offering the virtual (online) equivalent to the same series of courses, allowing distributed enterprise teams the benefit of the same high caliber instruction and material. Symphony is uniquely positioned to deliver training excellence, having developed some of the industry’s highest standards of in-house training – which it uses to ensure its own implementation teams are some of the most qualified UiPath developers in the world. In addition, as of February, Symphony is proud to house the largest team of Certified UiPath Trainers globally.